Located on Pineda Blvd off N Wickham Rd, Extra Space Storage serves Melbourne residents near Viera, Palm Shores, Rockledge, and more. 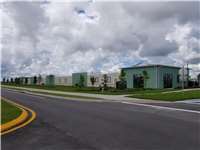 Locals will recognize our facility near South Central Wastewater Plant a few minutes west of Health First Viera Hospital. With a wide range of storage units, vehicle storage, and exceptional security, Extra Space Storage on Pineda Blvd can accommodate residential and commercial storage needs in Melbourne near Viera! No matter what you plan to store, our Melbourne storage facility has the perfect space for you! We have unit sizes ranging from 25 square feet to 200+ square feet. Concerned about storing valuable belongings? Extra Space Storage takes security seriously, which is why our Viera location is equipped with 24-hour video surveillance and electronic gate access. Looking for secure vehicle storage in Melbourne? Extra Space Storage has large outdoor parking spaces that can handle vehicles as small as cars and motorcycles and as large as boats and RVs. With a well-maintained, secure, clean facility and a friendly, professional staff, Extra Space Storage strives to deliver dependable self storage and exceptional service. We work hard to ensure your needs are met and that you have an incredible storage experience with us. Contact us today to reserve a storage unit in Melbourne! This is a great new, clean storage space with great security. The staff is very fresh Neely. Highly recommend extra space storage. Very good customer service. Nice prices. And very clean. Drive south on I-95 S. Take Exit 191. Turn right onto N Wickham Rd. 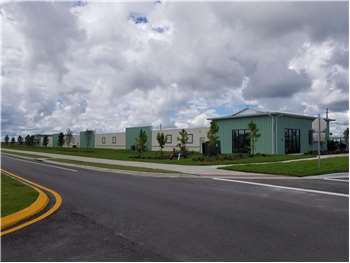 Pass Health First Viera Hospital and continue west. Turn left onto Pineda Blvd. Our facility will be on your right next to South Central Wastewater Plant. ?Drive north on I-95 N. Take Exit 191. Turn left onto N Wickham Rd. Pass Health First Viera Hospital and continue west. Turn left onto Pineda Blvd. Our facility will be on your right next to South Central Wastewater Plant.? Drive west on ?N Wickham Rd. Pass Health First Viera Hospital and continue west. Turn left onto Pineda Blvd. Our facility will be on your right next to South Central Wastewater Plant.? ?Drive east on ?N Wickham Rd.? Turn right onto Power Line Rd. Turn right onto N Wickham Rd. Turn left onto Pineda Blvd. Our facility will be on your right next to South Central Wastewater Plant. ?